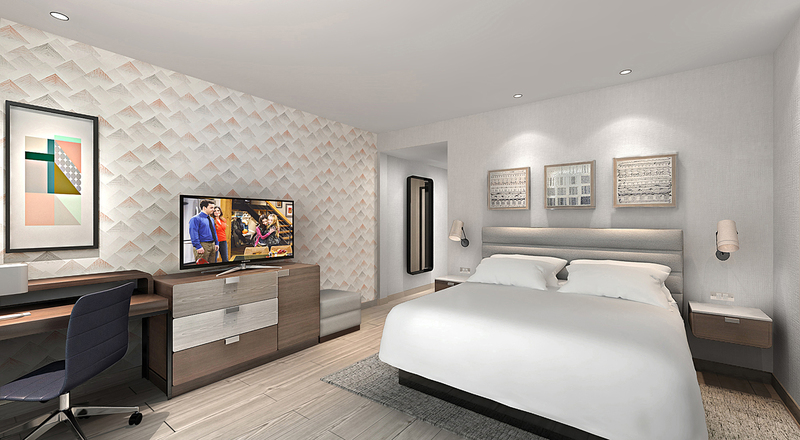 Brief: Studio HBA accepted the commission to design a new 171 room new build boutique version of the Hampton Inn & Suites brand suited to a location on the border of the “Korea Town” and “Little Bangladesh” areas of Los Angeles. 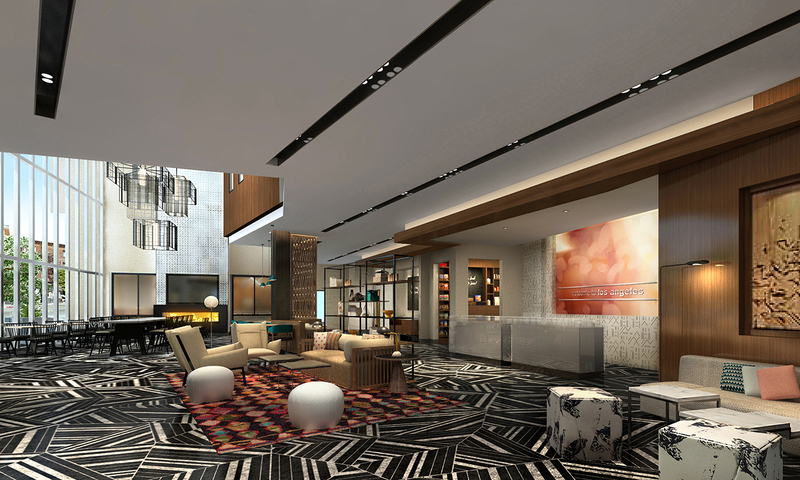 Concept: Located on the border of two cultural districts in central Los Angeles, Studio HBA’s design for the Hampton Inn & Suites Korea Town needed to blur the lines of culture between two diverse areas and reflect the eclectic nature of each in a refined manner. This area of the city is also known for its profusion of billboards competing for attention and the design team wanted to acknowledge this in altered fashion by incorporating “messaging with emotion” into the design. Responding to the articulated façade of the building and its angled fin structures, Studio rotated the entrance to the hotel and entire lobby layout and ceiling structure to orient towards the view to the street and activity outside. 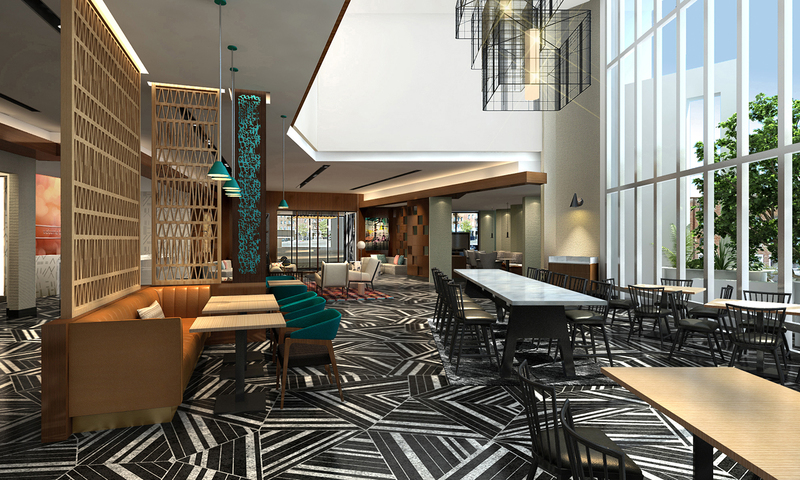 Large scale graphic patterned tile complements the angled geometry and wall covering and fabrics inspired by tribal rug patterns add a subtle reference to the projects cross cultural nature.